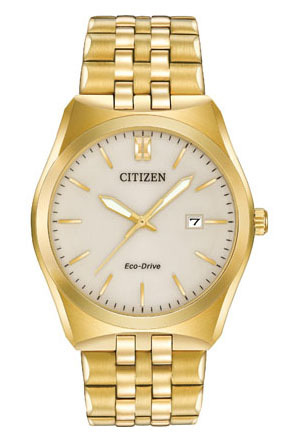 Sporty yet elegant, CITIZEN®'s Corso is the byword for versatility and the perfect addition to any wardrobe. Shown in gold-tone stainless steel with a champagne dial and date display. Water resistant up to 100 metres.